Platinum has gotten a lot more expensive in the last year, but it's popularity as a jewelry metal continues to hold up--that's because folks consider platinum jewelry an investment, as well as a statement of lasting value! We have added some new platinum items which are still quite affordable so you can buy very nice pieces in the $300 to $800 price range, which make excellent Christmas gifts for that special person! 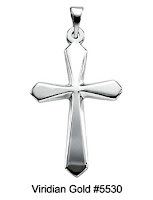 For example, you can purchase our Platinum Passion Cross Pendant (pictured) along with a specially priced platinum chain for a total cost which is under $500. Remember, whenever you buy a pendant or locket from us, you are offered the option of purchasing a selected pendant chain which is discounted an additional 20% from our regular, low website price! Just click the button that appears on any of our pendant or locket item pages, and you will be presented with choices which match the metal of the item you are purchasing. If you do not see a chain you like in our limited sale selection, you may choose from our hundreds of other chains in our Pendant Chain Collection in gold, platinum and silver, as well as leather, rubber and stainless steel designs. You can see lots more designs in platinum for pendants, rings, necklaces and earrings on our Platinum Jewelry Collection page. And, by the way, ALL of our platinum items are "950 Platinum", meaning they are real, honest-to-goodness platinum, NOT palladium, or platinum plated, or low-fineness platinum! The US law says that if an item is less than 95% platinum, it cannot be called "platinum" without a modifier, such as "750 platinum", meaning it is only 75% platinum. 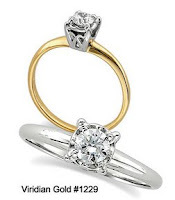 So, keep that in mind when you shop the Internet, and always make sure to purchase only 950 fineness platinum--anything less will contain high amounts of other metals which can destroy the characteristic "hypo-allergenic" quality of platinum jewelry! 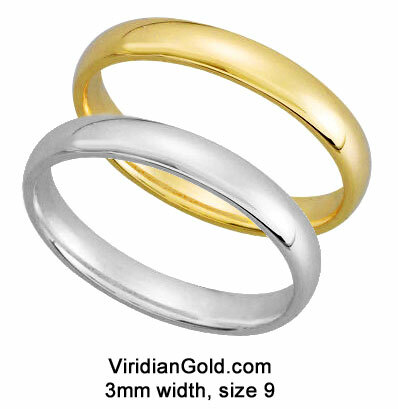 As always, feel free to call or email us if you have any questions about our platinum jewelry items.